Mary K. Lynch, ChE’82, is a CUAA Council member. She is also a member of the Nominating, Communications, Gano Dunn Award and Election committees. She is the current chair of the Peter Cooper Service Award Committee and is a past chair of the Nominating and the Communications committees. She assisted with the creation of the cualumni.com website which was re-launched in 2008 and the creation of the cooperalumni.org site that was launched in December, 2014. She has been a major contributor of content to the CUAA websites and newsletters. She has made it a priority to celebrate both the accomplishments of Cooper students and Cooper alumni working in all fields, and at all points in their careers. She has interviewed and written many profile articles on alumni for both the website and newsletters. She is a moderator for the CUAA FaceBook page and LinkedIn group and a class representative for her graduating class. She became active in CUAA activities in 2006 which was the year leading up to her class’ 25 year reunion and has remained active since, helping with the planning for numerous projects and events. She served as moderator for an important trustee panel presentation in the spring of 2012. She helped organize both the 25 and 30 year reunions for the class of 1982. She was also one of the organizers for the All Cooper Reunion held in 2009. 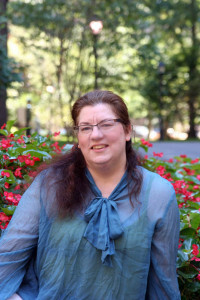 Mary has stayed connected to the Cooper Union School of Engineering via her friendship with several Cooper Union professors and her support of the Cooper Union Motorsports program. She has participated in panel discussions about engineering careers organized by Student SWE and AICHE chapters and recently spoke to a ME164 class of senior students. She is a regular participant in Mock Interview Nights organized by the Cooper Union Career Development Office and Engineering School. Mary is a Senior Engineer and Senior Instructor for Con Edison. She develops and teaches courses on the NYC Steam System for engineers, planners, mechanics, operators and customers. She previously led the Con Edison Steam Distribution Engineering Equipment Group. Mary has also worked as an engineer in Con Edison’s Technical Services Lab, where she was a Lubrication Engineer, Power Plant Chemical Specialist, and Steam Purity Program Manager. She has also worked as a technical writer writing scripts for a maintenance video series and authoring a handbook for seamen. Mary is the current Chair of the NY Metro section of the American Institute of Chemical Engineers (AICHE). She is also the proud mother of two daughters and grandmother of one grandson. This entry was tagged Alumni Profile, Alumnus of the Year, Mary Lynch. Bookmark the permalink.